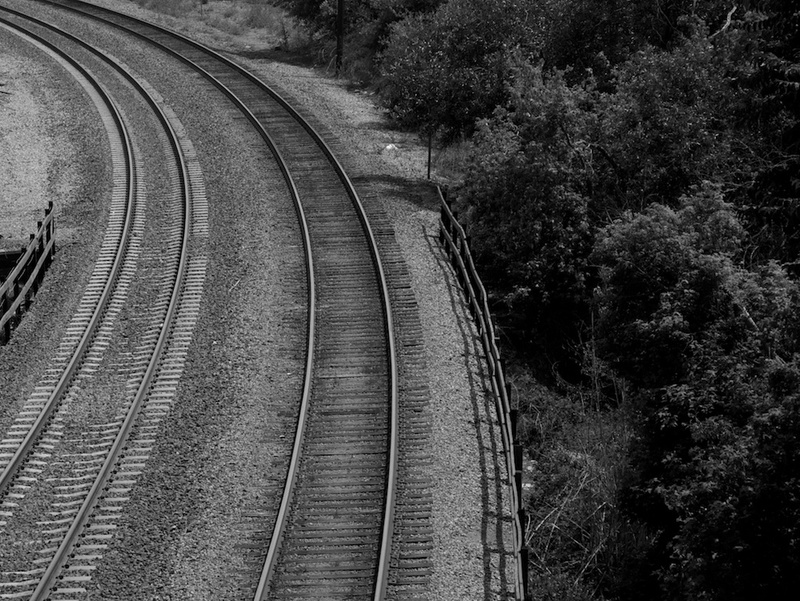 Tracks curving away over the bridge across Los Gatos Creek, as seen from the San Carlos Avenue overpass, just south of Diridon station, San Jose. Shot with the Nikon D70s and the 18-70mm f/3.5-4.5 zoom at 70mm, ISO 400, f/11, shutter 1/400 sec. Cropping, contrast, levels, highlights,and monochrome adjustments in Aperture.